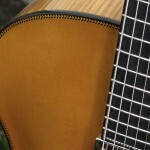 This design has been carefully refined and modified since 2007. 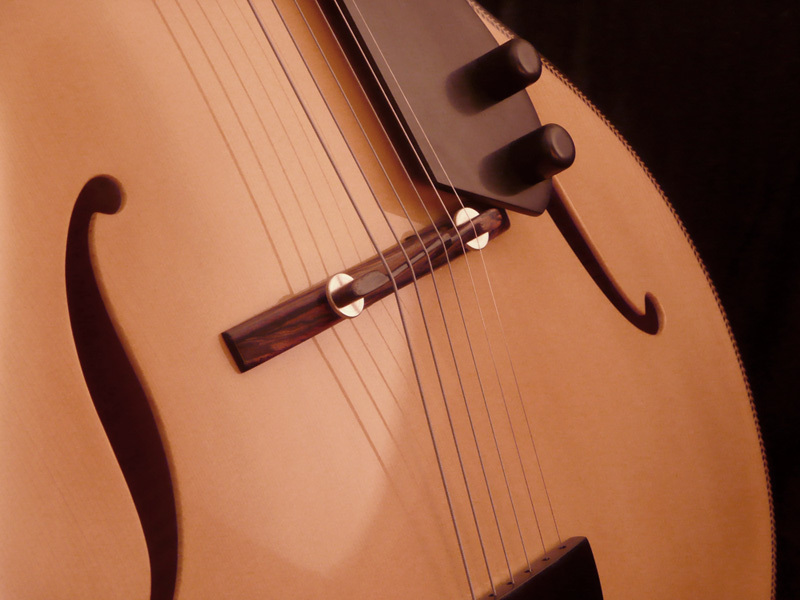 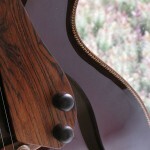 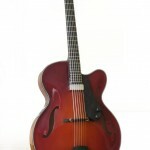 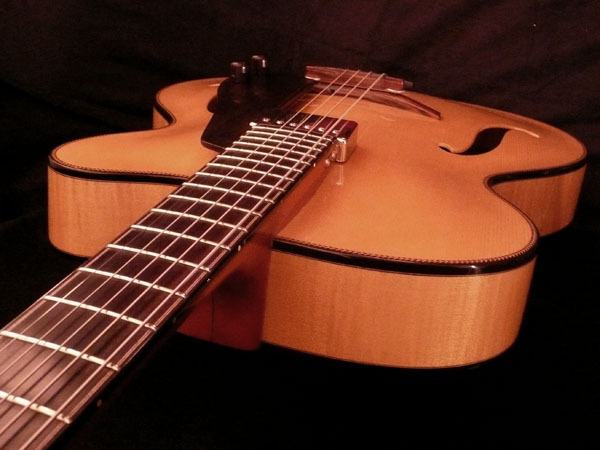 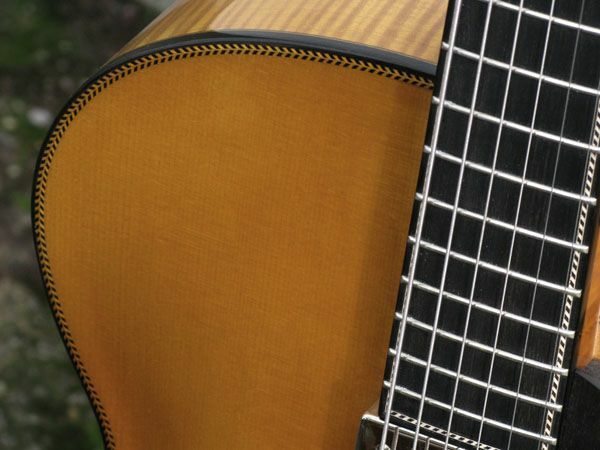 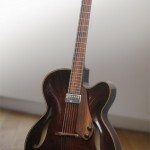 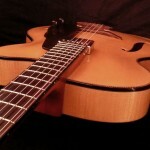 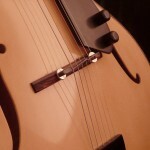 It has a full-bodied sound which rivals heavier built archtops. 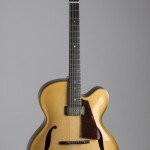 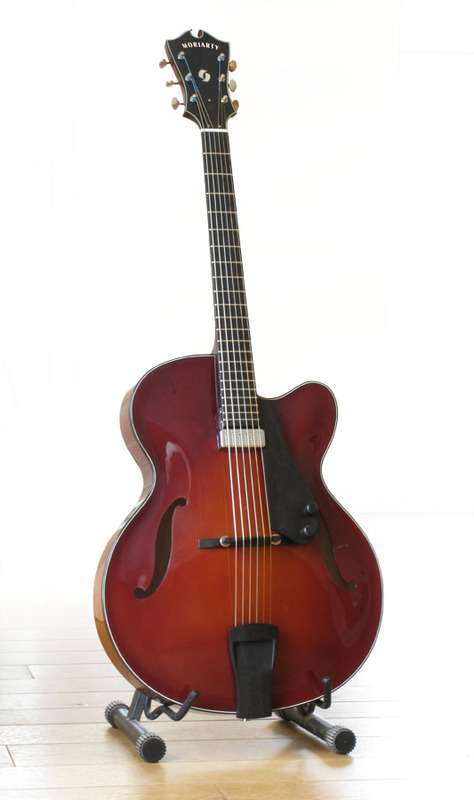 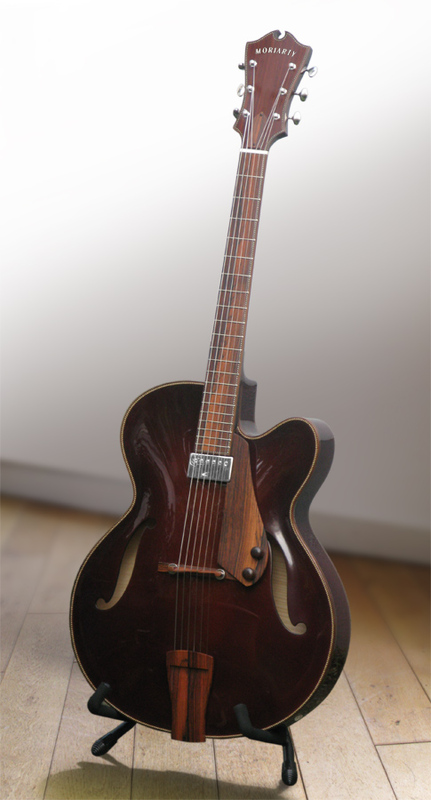 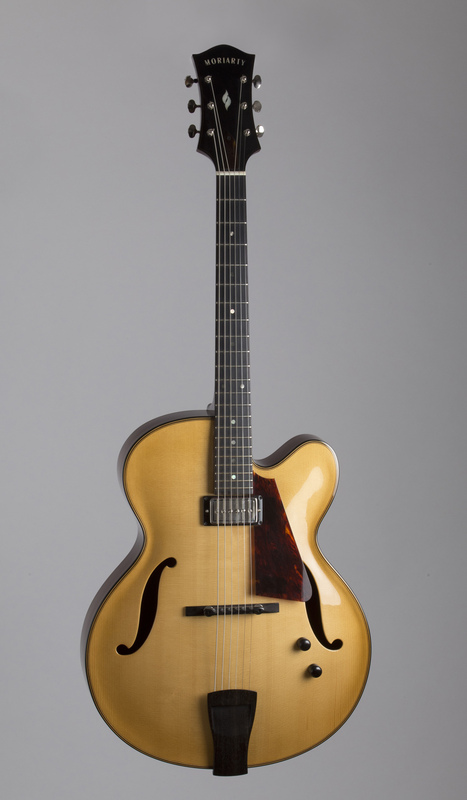 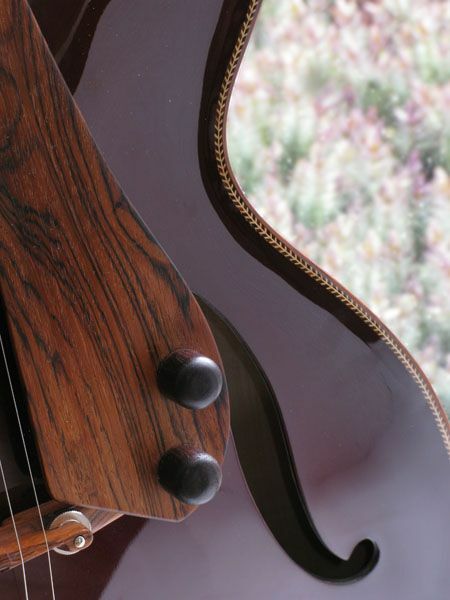 While many professional musicians stick to laminated instruments due to ease of use, a fully carved archtop, when amplified properly, produces a more individualistic sound and more tonal nuances. 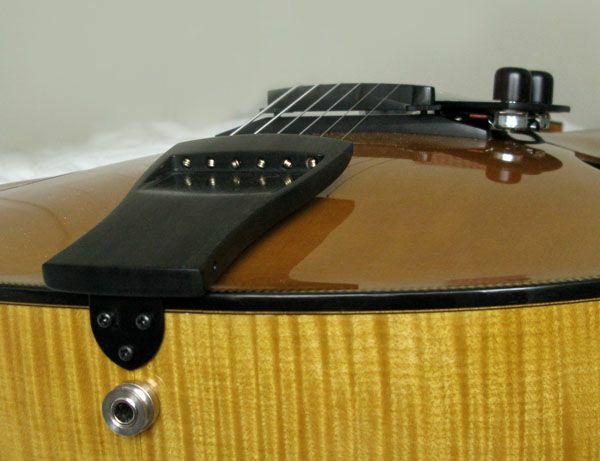 Slim sides, deep body contour provides full air capacity in the box for acoustic sound and comfort while playing. 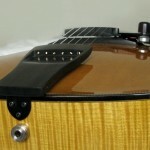 Full size, hand-built PAF style humbucker ‘floats’ above the body. 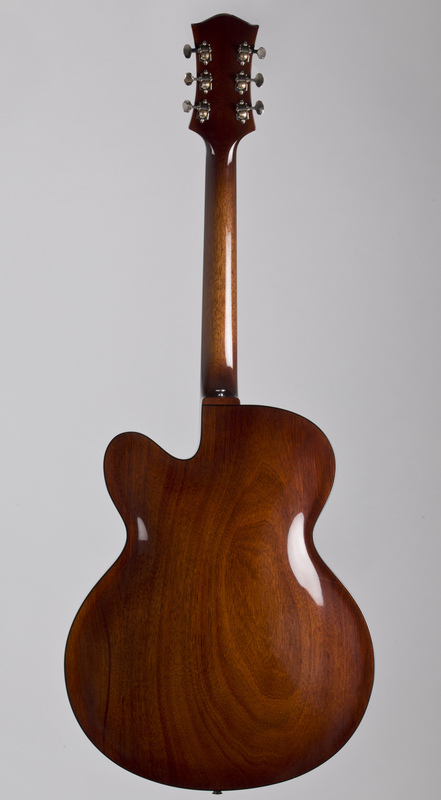 Alternatively, an in-build pickup leaves room for experimentation. 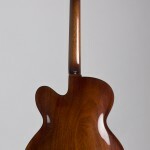 The Internally laminated neck is extra-strong and straight.